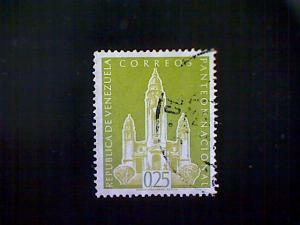 Venezuela, Scott #760, used (o), 1960, National Pantheon; it is the final resting place for the nation's heroes; the entire nave is dedicated to Simón Bolívar, while lesser luminaries are relagated to the aisles, 25 centimos, light olive, Scott 2019 catalog value: 25¢. Slightly off-centered, circular socked-on-the-nose border cancellation into central image, sound back, hinge remnant, penciled Scott identification and valuation marks on back, good perforations. This is not a 'bait-and-switch' offer. The stamp you see will be the one you receive. Please review my terms of sale. 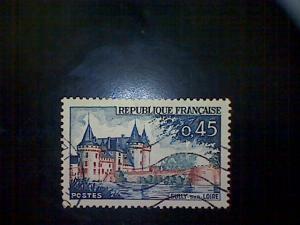 If you are not ordering from the United States, there is a $US1.15 additional postage expense that needs to be added to the price of the stamp. 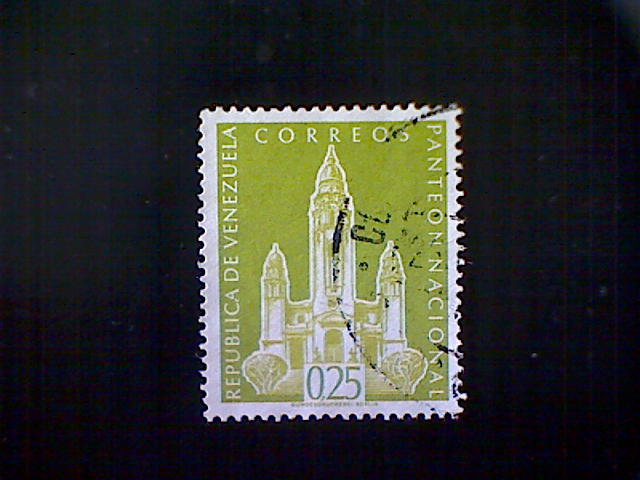 If you are ordering from the United States, there is only a $US0.55 added postage expense. Also, if you make additional purchases from my offerings, they can all go in one mailing at no extra expense for the added purchases. 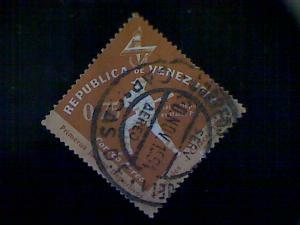 By way of reference, I am an American Philatelic Society member (195176). 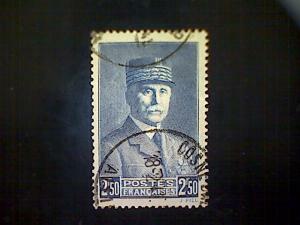 Thank you for looking, and I hope this is the perfect stamp to fill that gap in your collection. I will send the purchase by US first class mail, since the relatively low value of the stamp does not warrant signature or tracking mail. Hence the buyer assumes risk of loss or non-delivery. I will keep a scan of my mailing to verify that the correct mailing address was used. 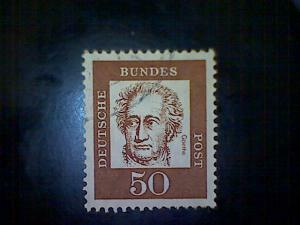 If not satisfied, return the stamp to me at your own expense, and I will refund the cost, but not my postage to you. 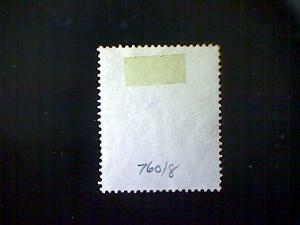 If the stamp is not as described, I will refund the cost and reimburse you for postage both ways.